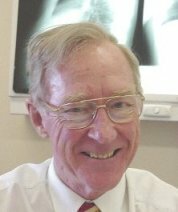 Dr Hillman completed his specialist training in anaesthesia in 1981 before commencing a research fellowship in the Department of Pulmonary Physiology at Sir Charles Gairdner Hospital. 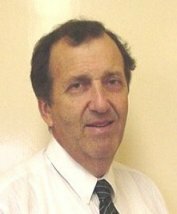 In 1985 he was appointed to the hospital as a Clinical Physiologist and Anaesthetist. His time in these positions has coincided with a worldwide increase in knowledge of sleep and its disorders, particularly sleep apnoea. His research interests have increasingly centred on these problems. He has published over 50 scientific papers, and reviews regularly for international journals and national granting bodies. 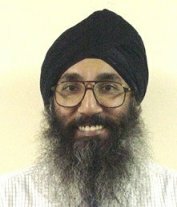 Dr Singh trained as a Respiratory Physician at The Prince Charles Hospital, Brisbane (1993-95) and as a Respiratory Physiologist and Sleep Disorders Physician at Sir Charles Gairdner Hospital (1996). He has recently completed a PhD under the supervision of Dr Finucane on the function of the human diaphragm as a volume pump and measurement of its efficiency. This thesis has led to the development of new methods for measuring diaphragm function and was awarded a Distinction by the University of Western Australia. His research findings are regularly presented at national and international scientific conferences and published in international journals. He has twice been awarded the John Read Prize for Physiological Research by the Thoracic Society of Australia & New Zealand in 1999 and 2003. A/Prof James completed physician training at Sir Charles Gairdner Hospital before working for 2 years as a Research Fellow at the University of British Columbia, where he studied mechanics of airway narrowing in asthma. 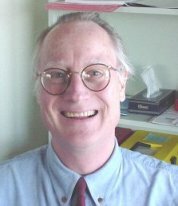 At the West Australian Sleep Disorders Research Institute, he continues work, funded by the National Health and Medical Research Council, in airway inflammation and structure in asthma and chronic obstructive pulmonary disease in addition to involvement in the Busselton Population Health Studies and other population studies. 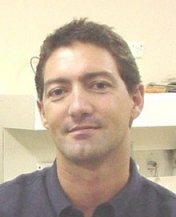 He coordinates the Perth Lung Research Group, has published over 60 original research papers and is a reviewer for a number of international journals and funding bodies. iii) Respiratory muscle function and failure in health and disease. Dr McArdle completed his physician training in Western Australia. He received the PB Smith prize for contributions to Post-graduate training while working as a Senior Registrar at Fremantle Hospital. He then spent 3 years working and completing an MD, in Edinburgh, on continuous positive airway pressure treatment for sleep apnoea. 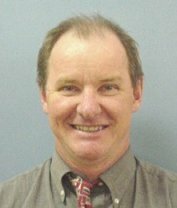 He is currently a consultant Respiratory and Sleep Physician with attachments at Sir Charles Gairdner and Royal Perth Hospitals. He is a Senior Lecturer with the University Department of Medicine at Royal Perth Hospital. Dr Cullen completed his physician training at Sir Charles Gairdner Hospital before commencing research into sleep disorders. His early research assessed the frequency of sleep disorders in the general population and the association of hypertension and sleep apnoea. He had a four year period at Royal Prince Alfred Hospital in Sydney where his research involved headache and other symptoms of sleep apnoea, clinical features predicting the presence of obstructive sleep apnoea and clinical features improved by continuous positive airways pressure therapy. He used lasers to measure oropharyngeal dimensions to improve the assessment of patients with possible sleep apnoea. Dr Eastwood holds joint appointments as a Senior Research Fellow at the West Australian Sleep Disorders Research Institute and at the School of Human Movement, University of Western Australia and is an Adjunct Associate Professor at the School of Physiotherapy, Curtin University of Technology. 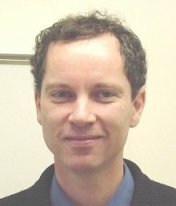 Following completion of his PhD at the University of Western Australia he was awarded a CJ Martin Fellowship from the National Health and Medical Research Council, with which he spent two years of postdoctoral training with Professor Jerome Dempsey at the University of Wisconsin, investigating the control of breathing during sleep. Having returned to Perth to continue this work he was awarded the Astra/Australian Lung Foundation Fellowship in Respiratory Medicine to investigate the behaviour of the upper airway during sleep and during general anaesthesia. This work, as well as research investigating the role of respiratory muscle training in chronic lung disease, is ongoing with funding from the National Health and Medical Research Council. He regularly presents the findings of these studies at national and international scientific conferences and publishes in international medical journals.